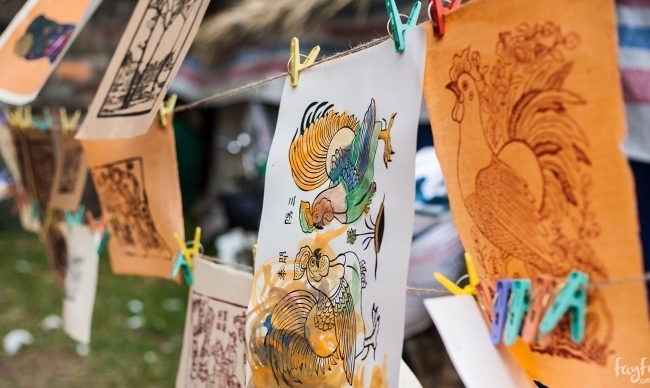 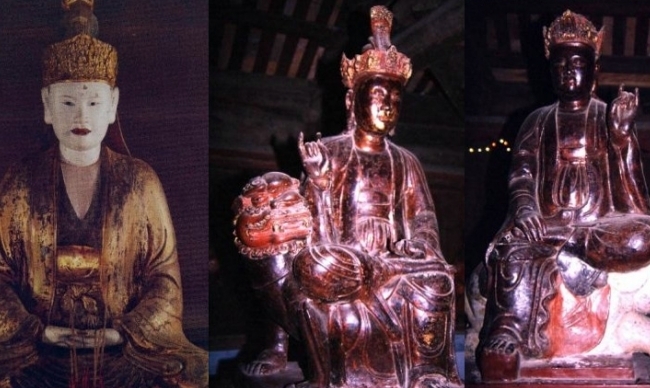 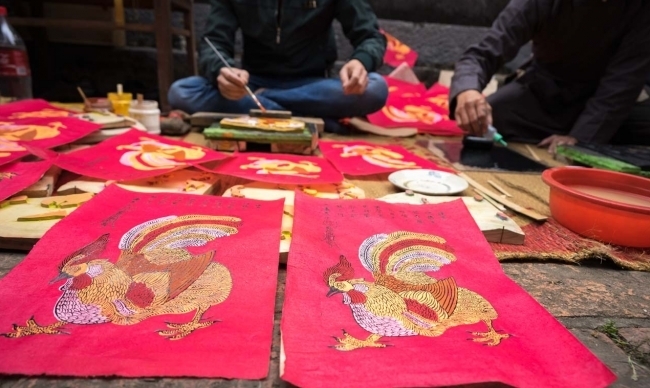 This interesting trip gives you a great oportunity to visit Dong Ho folk painting village. 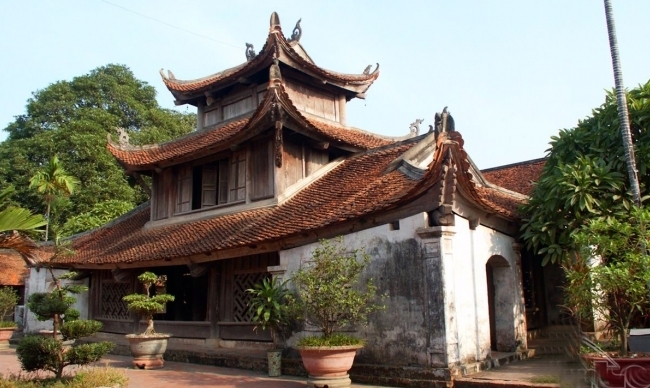 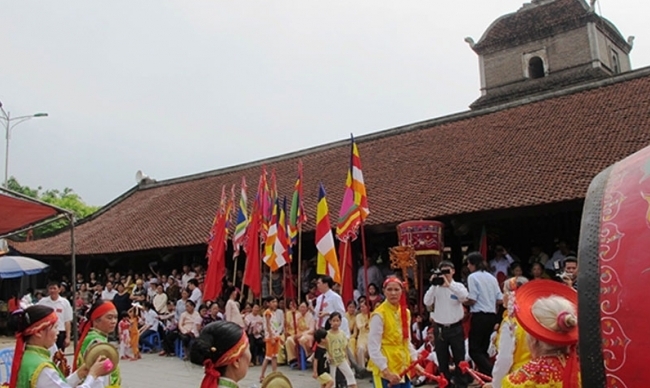 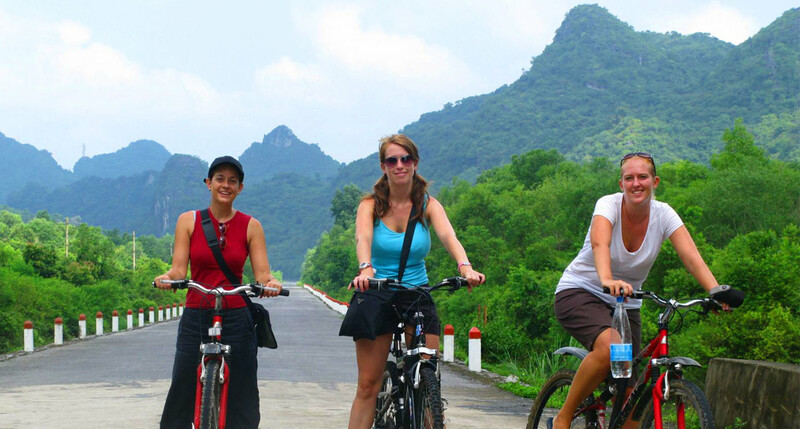 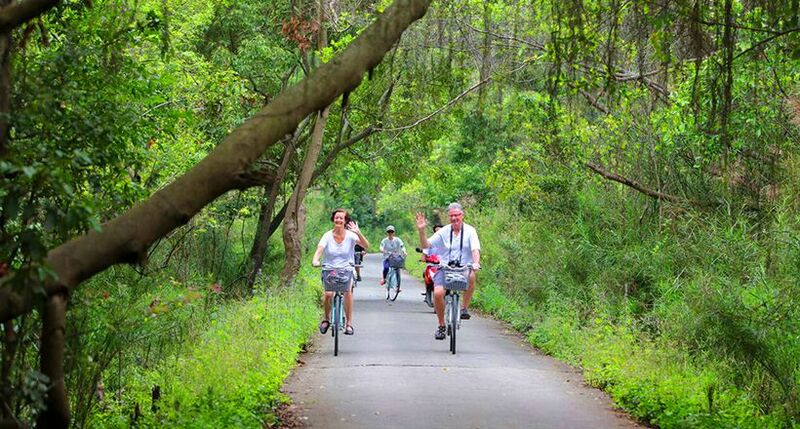 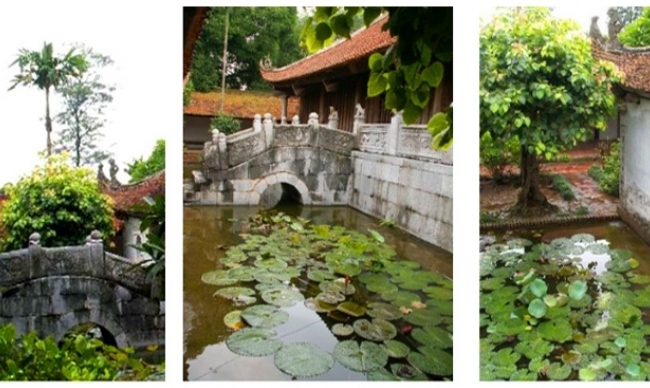 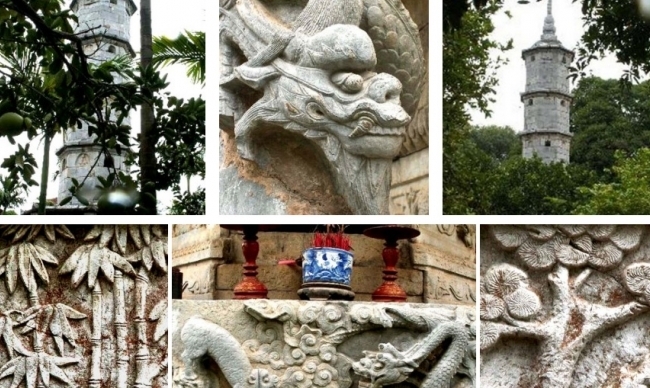 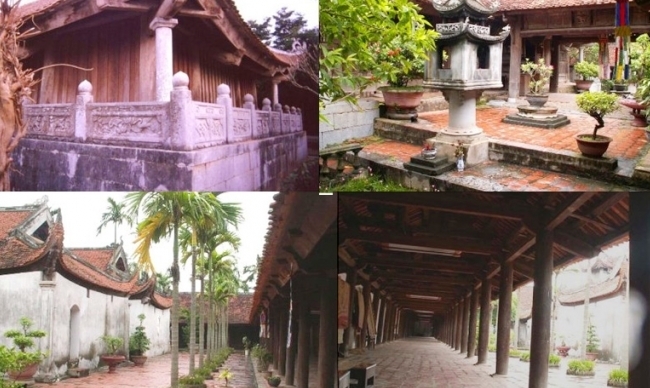 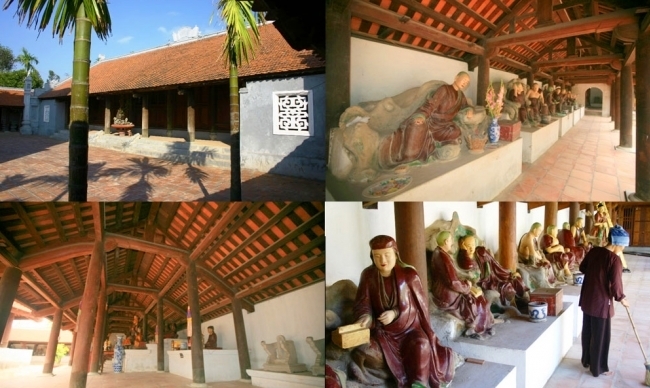 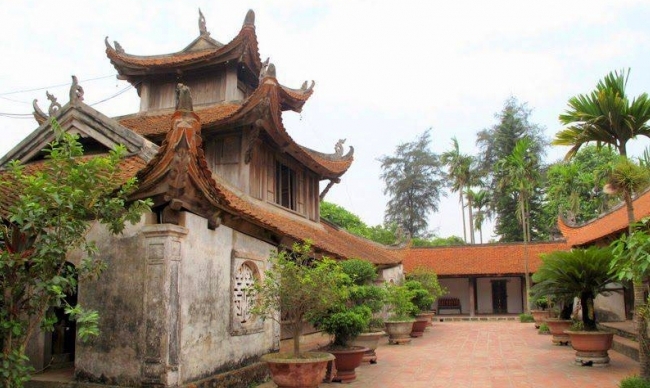 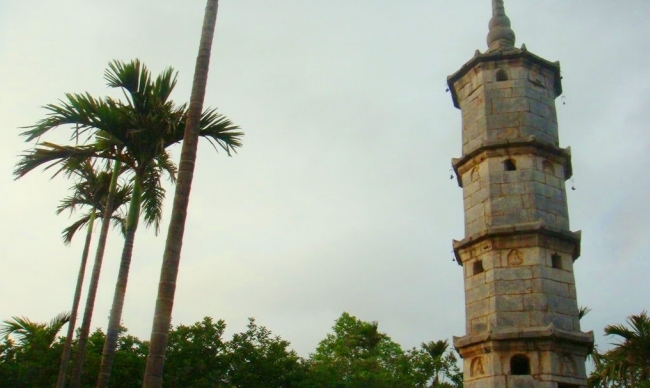 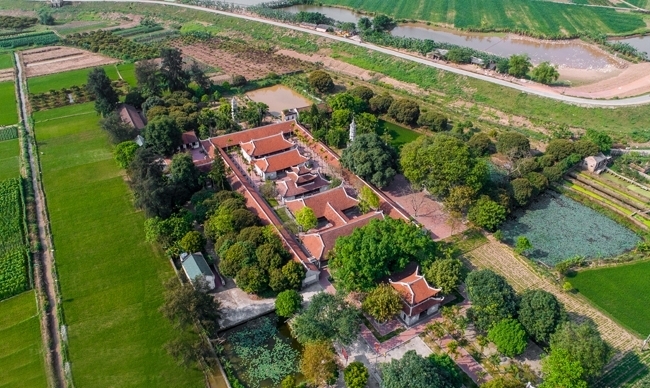 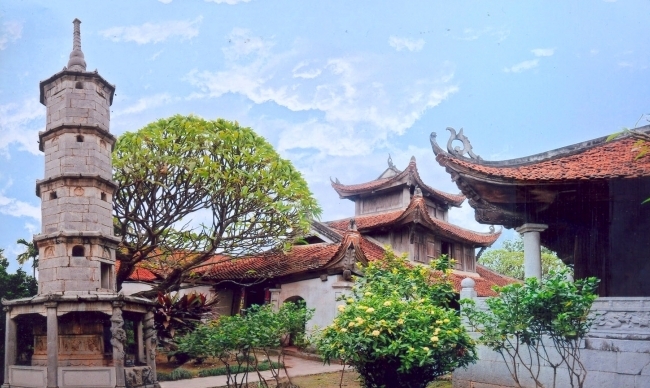 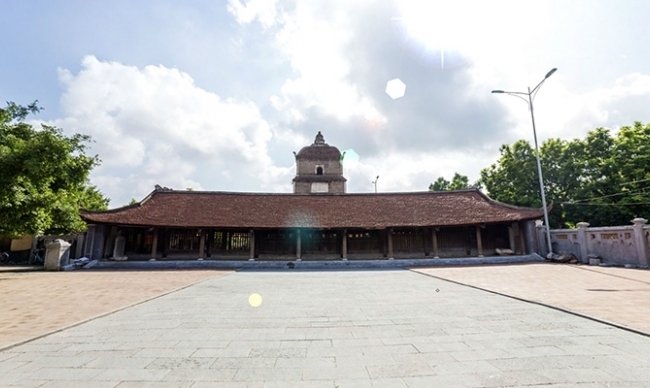 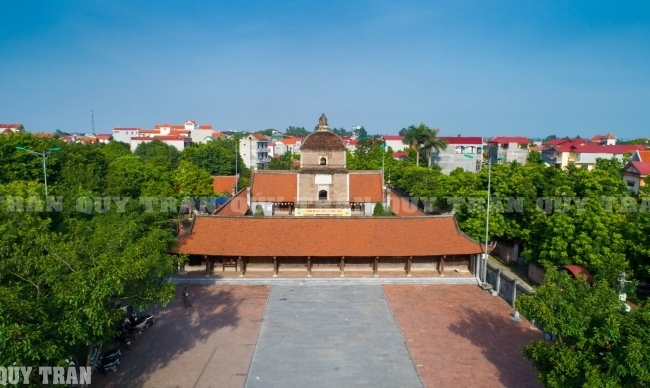 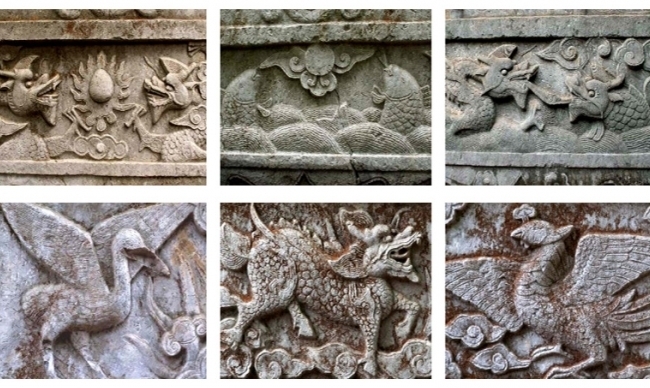 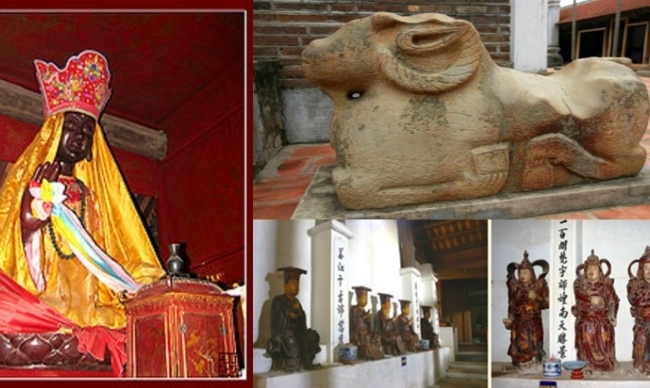 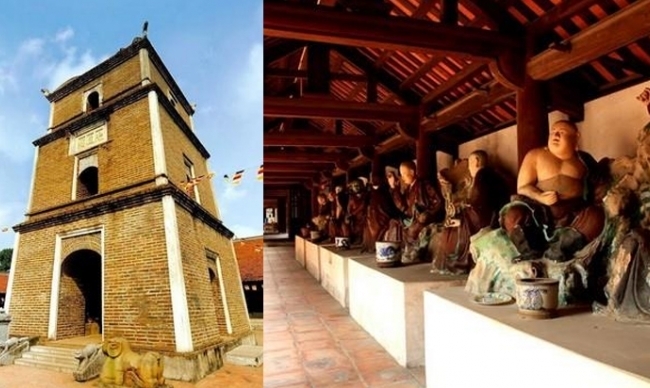 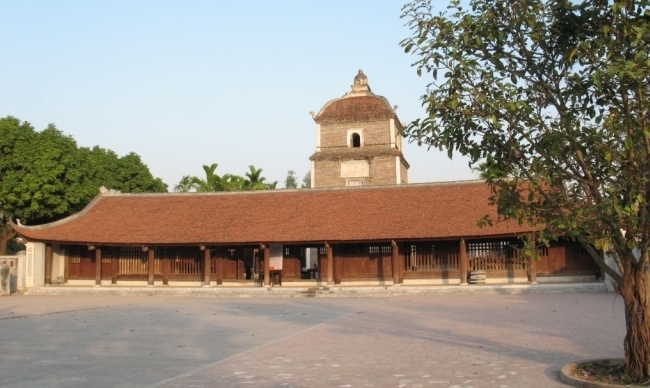 The ancient Dong Ho painting village is a famous village of folk paintings, belonging to Song Ho commune, Thuan Thanh district, Bac Ninh province, about 25 km from Hanoi. 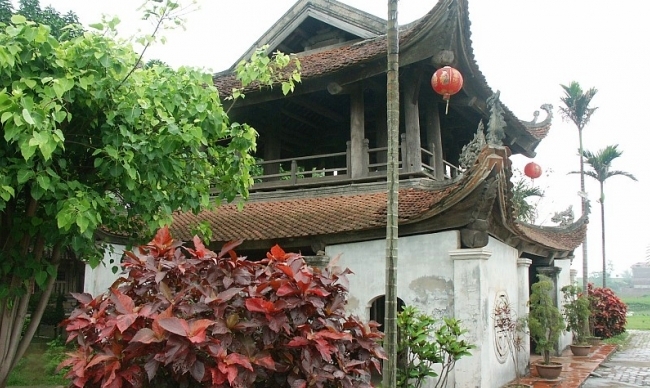 Dong Ho village (sometimes the locals only call it Ho village) is located on the south bank of Duong River. 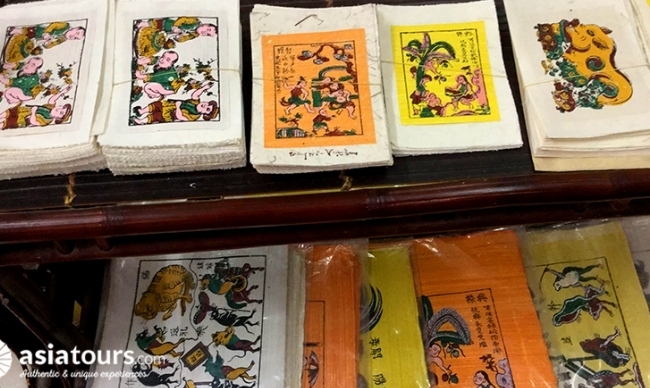 Dong Ho painting - The quintessence of attractive and unique Vietnamese folk culture in colors, layouts, and shapes. 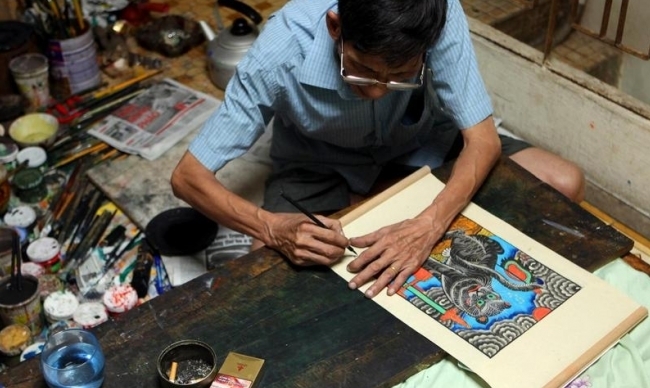 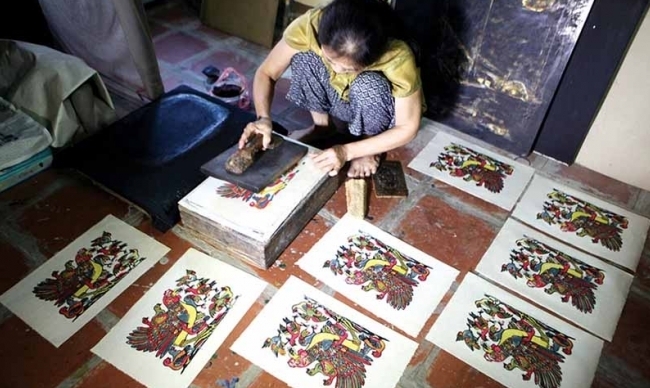 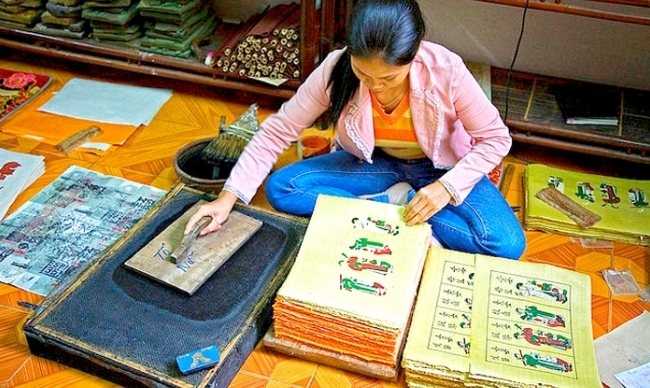 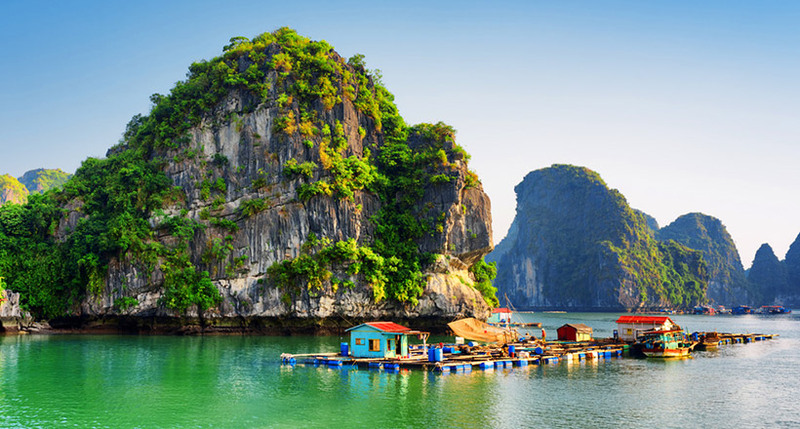 With completely natural materials, Dong Ho painting has a special, warm and special color that perhaps only Vietnam has. 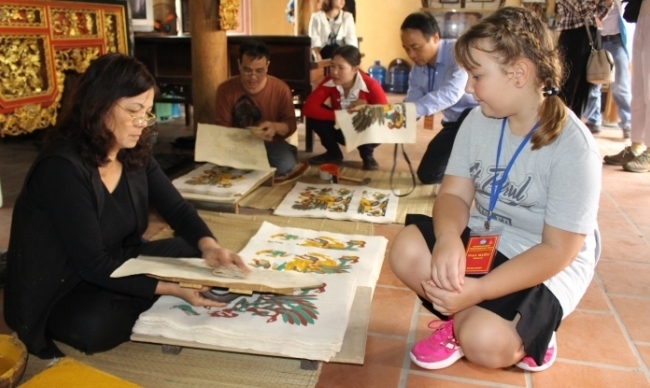 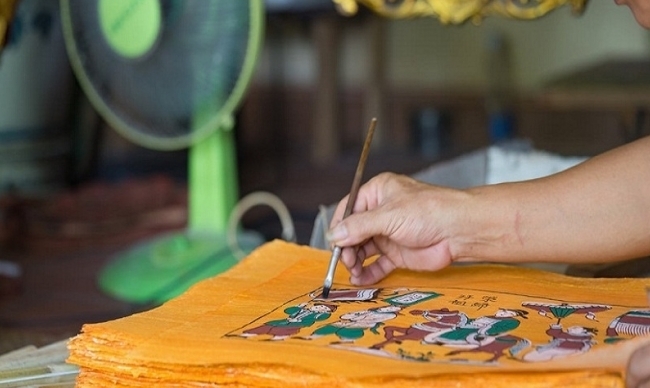 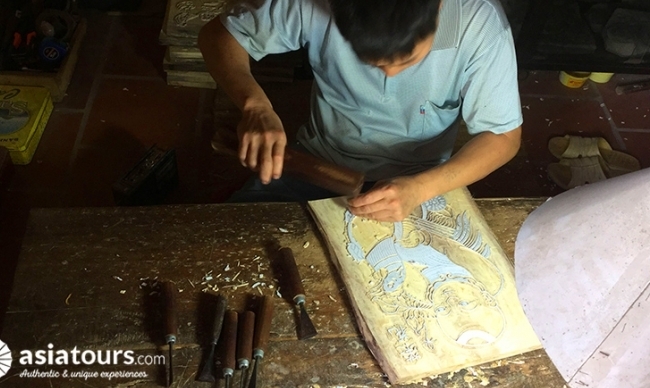 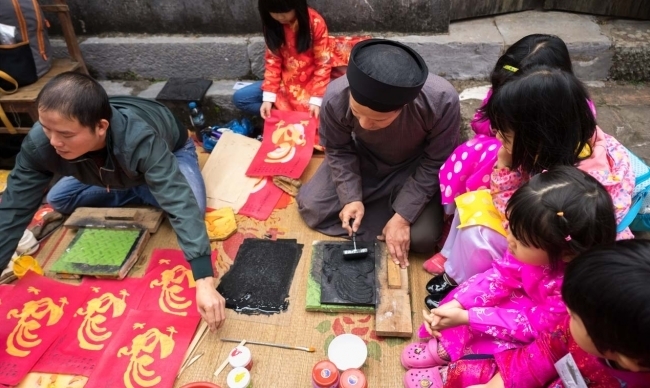 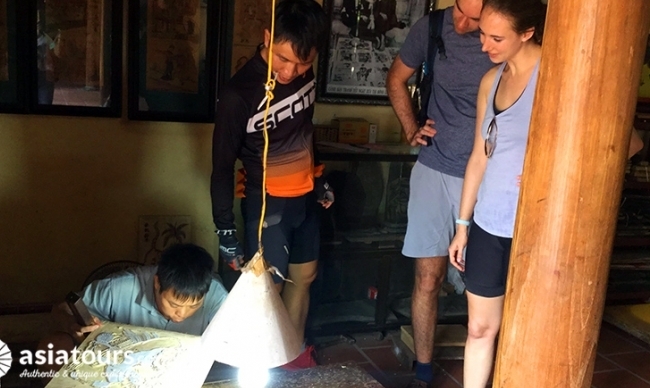 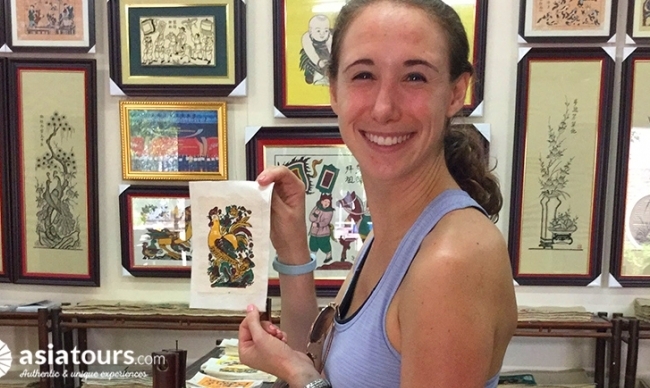 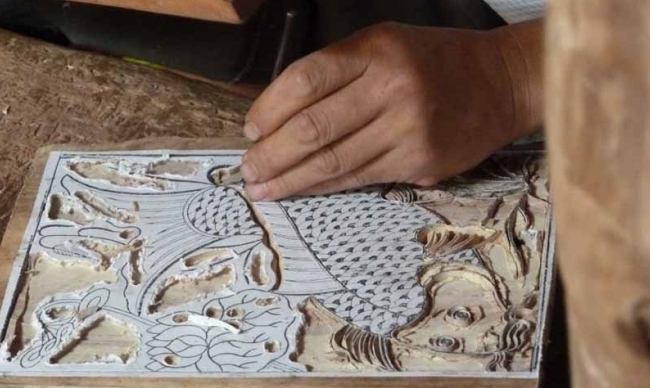 Our tour guide will introduce you the process of making a painting and give you some more details of the history of development of Dong Ho folk painting village.